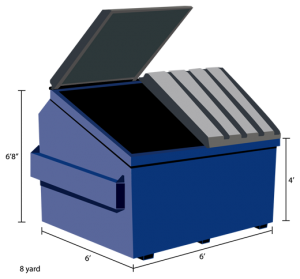 PortableToiletRental.co’s disposable event trash boxes are a great eco-friendly waste receptacle solution for any outdoor setting. 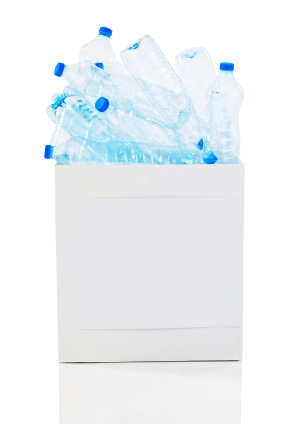 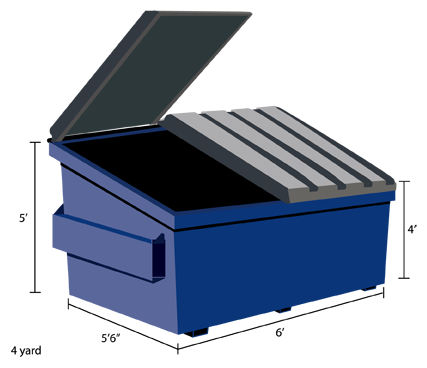 These event trash boxes are strong and easy to assemble. 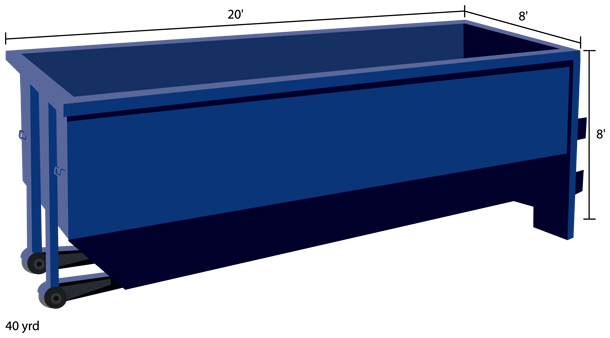 They can be placed throughout the location of your next party or special event. These disposable garbage trash boxes make it convenient to dispose of trash in an safe, economical way and ensure a litter free setting at your next social gathering. PortableToiletRental can help you with challenges you may have at your next large or small outdoor event with the use of disposable trash boxes. 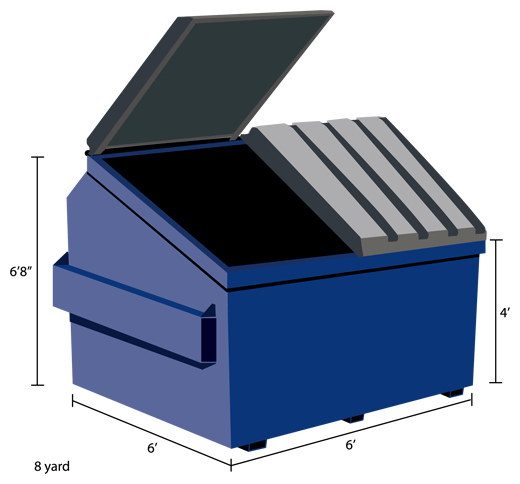 Needing a roll off dumpster for a cleanup project, construction job, or demolition work? Dumpster.me is the place to find your roll off dumpster. Find Preferred Vendors in your local area that provide roll off dumpster service by clicking on the city nearest to you in the red box. 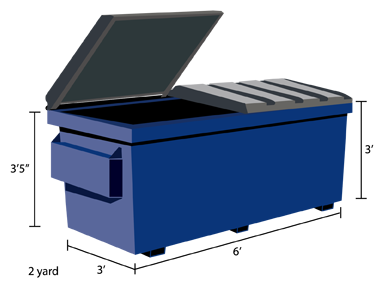 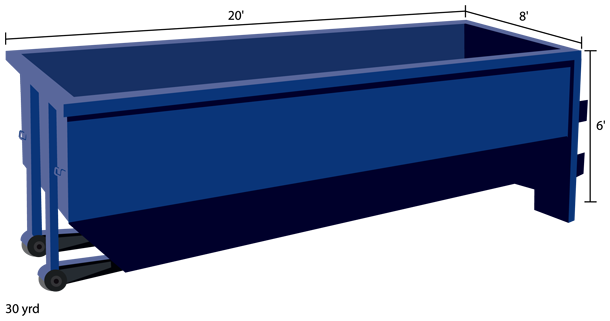 Our Preferred Vendors offer many dumpster types so you can get the right size for your project. 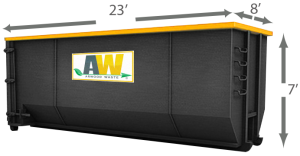 Roll off dumpster sizes are measured in cubic yards. 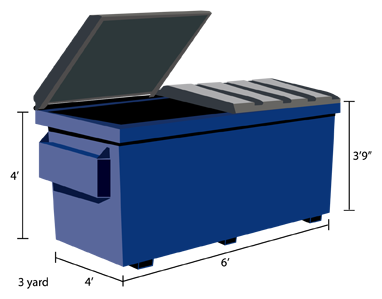 Typical roll off dumpster sizes are 10-15, 20, 30 & 40 yard dumpsters. 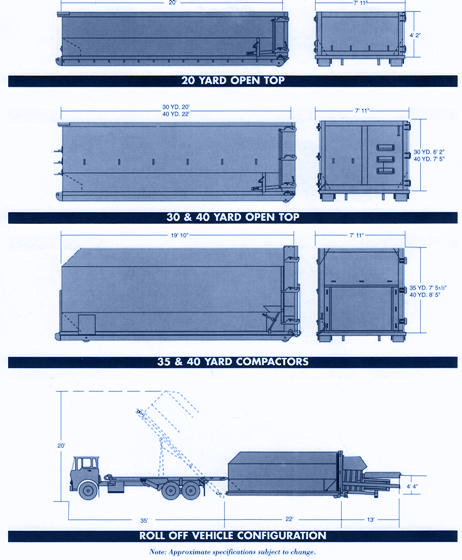 We’ve included the dumpster dimensions for each of these roll off dumpster sizes below.